Bucorvus leadbeateri Vigors, 1825, Lower Bushman River, South Africa. Monotypic. English: Ground hornbill; African ground hornbill; French: Bucorve du Sud; German: Kaffernhornrabe; Spanish: Cálao Terrestre Sureño. 35.4-39.4 in (90-100 cm); female 4.9-10.1 lb (2.23-4.58 kg), male 7.6-13.6 lb (3.46-6.18 kg). Largest hornbill species; black with white primaries and red throat skin. Eastern South Africa, Botswana, northern Namibia, Angola, and southern Burundi and Kenya. Territorial, defending areas as large as 36 mi2 (100 km2) in S. Africa. Hunts on the ground in cooperative groups. Most carnivorous of all hornbills, consuming arthropods, snakes, lizards, small mammals, and carrion using powerful dagger-like bill. Cooperative breeder with juvenile offspring assisting dominant breeding pair. Generally lays two eggs September through December. Nests in unsealed tree or rock face lined with dry leaves and grass. Incubation 37-43 days; fledging c. 86 days; younger hatchling starves to death within one week to a month. Not threatened. 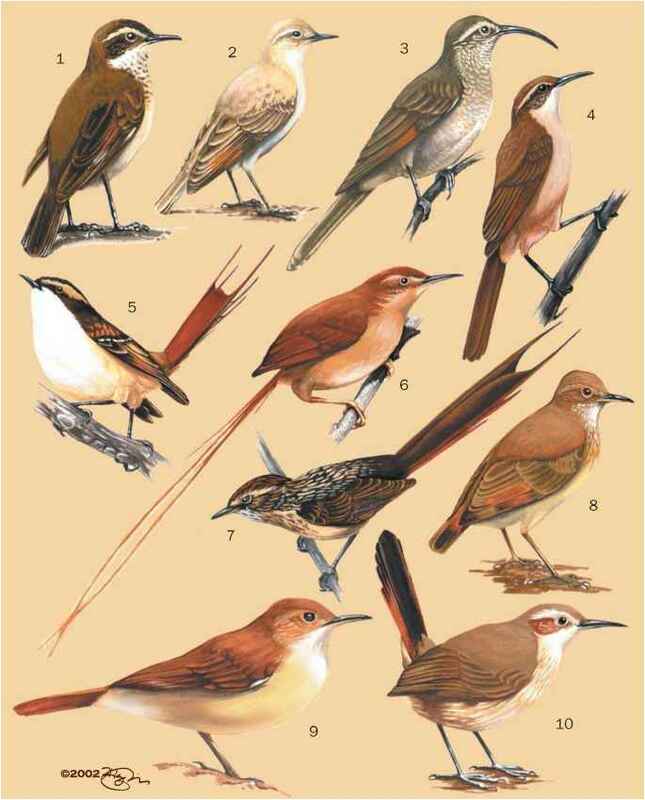 Widespread and common but at low densities and declining in some areas of South Africa and Zimbabwe.